The UAE is known for its lavish lifestyle and supercars prowling the roads at any given moment. There are Ferraris, Lamborghinis, Bentleys and many other brands cruising around. These works of automotive art almost always originate from the European continent, sometimes in the United States. But hold one moment, the UAE also has a supercar scene of its own. What exactly is the Zarooq Sandracer? Is it an SUV? Is it a supercar? Well, think of it this way - while it doesn't look like your stereotypical supercar, it has a rumbling V8 motor, carbon fibre body, it can go as fast as 220kmh. If that's not supercar enough for you, we don't know what is. 5,000 horsepower. That's all you need to know about the Devel Sixteen. If crazy was a vehicle, the Sixteen would it be it. It comes equipped with a 12.3L V16 motor with an 81mm quad turbo. It also has an oh-so attractive body that makes it look like it came out of a Batman movie. 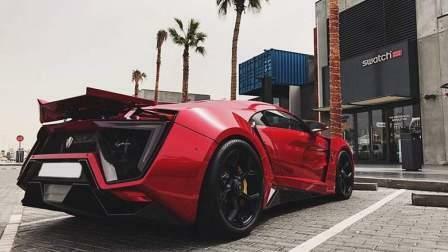 Built by Dubai-based, Lebanese company W Motors, the Hypersport has earned quite a name for itself. It's being used by Abu Dhabi Police, it has made appearances in several video games, and it flew across two skyscrapers in Abu Dhabi for the Fast and Furious 7 film. It also has jewels in its headlights and gold stitching on the seats. Yep, sounds like a UAE-made supercar. Remember the good old days when cars were without the tech they have nowadays? The Janarelly Design 1 harkens back to that era with a body that gives specific nods to 60's grand tourers. This UAE made supercar is also about having fun driving. Making its appearance in the last Dubai International Motor Show, the Fenryr Supersport is the big, bad brother of the famous Hypersport. It only weighs 1,200kg and can achieve speeds up to 400kmh. Like the Hypersport, the Fenyr is fast as it is luxurious.